Here we have a charming photo of a young Girl dressed all in white with a long veil and train! Isn’t she lovely?! 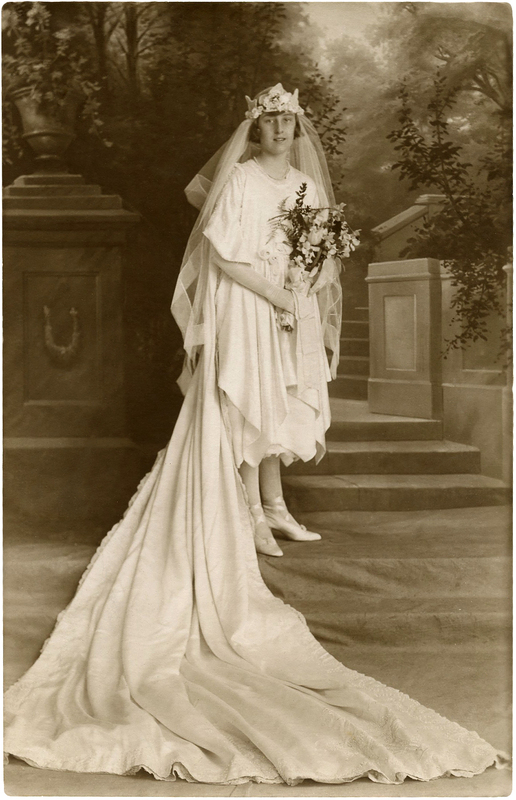 According to the back of the photo her name was Lillian and she was the May Queen in 1922! I am at a loss how to get these “free printables” …. i am looking for vintage old ladies. Or unusual ladies.